There were winners and grinners abounding at the Presentation Awards Ceremony at the Masonic Village. 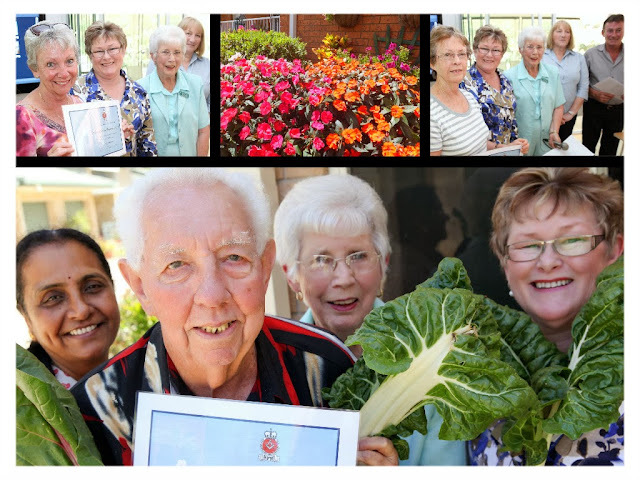 Pictured are some of the recipients of awards, staff from Masonic Village with President Pat and Maria from the Coffs Garden Club. These two ladies had the enviable task of choosing winners in various categories from the Village gardens. Congratulations to all the entrants, WELL DONE!